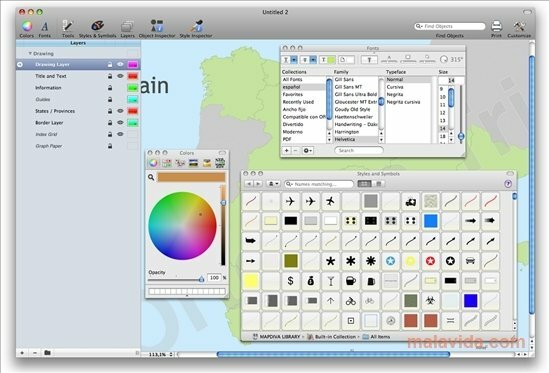 Ortelius is a cartography and design software application for the Mac platform with which you'll be able to easily create your own customized maps. The program takes the name of one of the most important cartographers of all times, Abraham Ortelius. 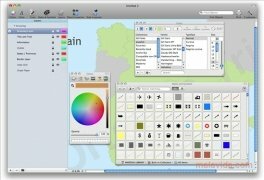 Ortelius has all the tools that you may need to design and create your own maps. 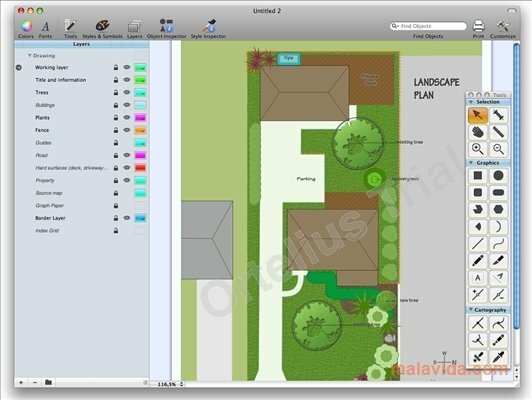 Boost your creativity when it comes to designing maps with the more than 20 tools included in the application to select, draw and browse your creations with versatility. Apply images and symbols. All the vector graphics are scalable. 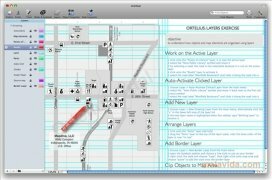 Use different layers to make it easier to create maps. 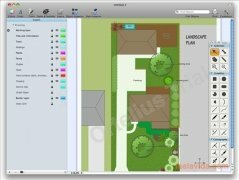 Maintain your information organized and use the drag and drop function to move the elements. 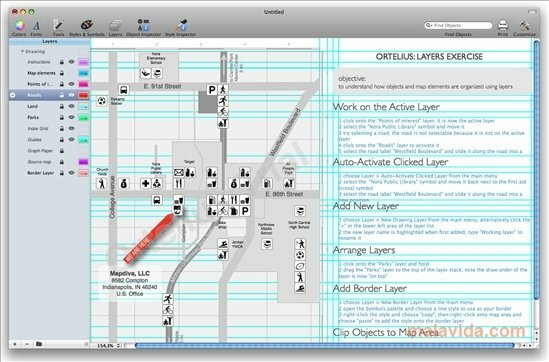 Ortelius is capable of creating layers automatically by importing GIS data maps. Ortelius is compatible with a vast amount of formats, both inbound as well as outbound. 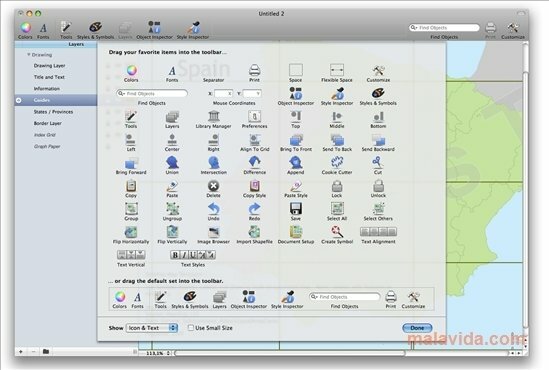 It's capable of importing JPG, BMP, GIF, PNG, PDF, TIFF files as well as ESRI maps. You will be able to export your creations to TIFF, JPG, PNG and PDF. 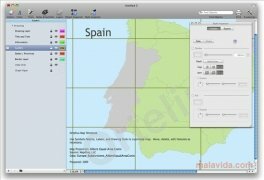 Download Ortelius to design cartography maps and other kinds of documents with maps, is one of the best options available at the moment for the Mac users interested in this field. The appearance and simplicity of Ortelius and its great capacities for cartographic design make it an option that is really worth the while and appealing. The trial version applies a watermark to the resulting project.